Malawi President Peter Mutharika on Sunday indicated he will not bow to opposition activists pressure and quit as Head of State, saying he is staying put at State House and maintained that he would win the 2019’s elections and rule Malawi for another five-year term up to 2024. Speaking at Thyolo Community Centre Ground where he held a political rally on Sunday, Mutharika challenged that there is no formidable politician in Malawi that can defeat him in an election. Malawi will hold another periodic election in 2019 at the end of Mutharika’s first term. The 76-year-old indicated he will seek another term and predicted a “landslide” in favour of the ruling Democratic Progressive Party (DPP). 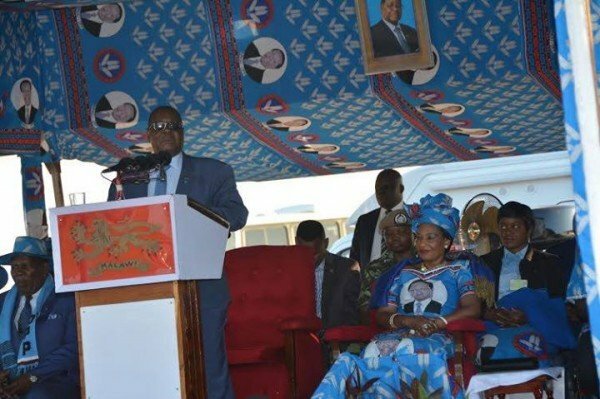 “It is wishful thinking that I can lose elections,” said Mutharika at the rally which was beamed on taxpayer-funded Malawi Broadcasting Corporation (MBC) television. It was not immediately clear if Mutharika’s remarks were a reaction to recent political developments, which have seen many leaders asking him to hand over power peacefully because of the poor state of social services across the country and also widespread executive corruption. Mutharika also scoffed at his critics, and targeted at former Malawi President Bingu wa Mutharika’s legal counsel Z Allan Ntata who has of late become a fierce critic and whistle blower on corruption on Mutharika’s administration. On several corruption allegations Ntata has raised, Mutharika did not give any reaction of substance but defended himself on accusations that he was lacking inclusiveness in his government and that he is appointing people in government based on cronyism, nepotism and tribalism. “There is someone who is going around saying my government is not inclusive, this is not true,” said Mutharika in apparent reference to Ntata. Mutharika mentioned a number of influential government positions which he gave to people from other regions apart from those that dominated by Thyolo and Lomwe belt . “Chief Justice (Andrew Nyirenda) and Director of Anti Corruption Bureau (Lucas Kondowe) are from the northern region. Inspector General of Police (Lexten Kachama) comes from Lilongwe while Chief Immigration Officer (Innocent Medi) comes from Nkhotakota while the Army Commander (Maulana) is from Zomba. “Is there nepotism there? But all the time you say Thyolo, Thyolo, what is wrong with the Thyolo nonsense?” said Mutharika. The President also said he had listened to a recording of an interview on Zodiak Radio’s Tiuzeni Zoona programme where opposition People’s Party (PP) secretary general Ibrahim Matola branded him as a Mtchona (someone who has spent years in the diaspora). Mutharika said such remarks were “demeaning”, saying some people who attack him will continue to stay in the opposition. “If the opposition continues with that kind of politics, I assure them that they will continue to be in opposition forever. I must say here that it is because of that kind of politics that I have decided to contest in the elections again in 2019. I am standing,” said Mutharika. On women, Mutharika said he has included three women in his 20-member Cabinet as well as sending another three to diplomatic missions in South Africa, Egypt and Zimbabwe. N’tchona must step down. We are starving because he is a thief surrounded by thieves. Dpp ndi mbava. Zimene amakambilana ku ma meeting a DPP za umbava zokha-zokha. We are fed up with this selfishness of our leaders, just thinking of their families forgetting the poor elders and youth who were burning with sun on the queues.Malawians let’s stand firm just to eradicate this fake leadership (stop cheating poor innocent people ). The president appoints some people from other areas when he has seen that there is nobody from the Lomwe belt. What a shame for such a brozi!!!!!!!!!!!!!!!!!!!!! I Think We Are Lucking Personality Here.Where Malawians We Don’t Support Each Other.Rise Up Malawians Let Us Be United.Lets Take Responsibilities Of Developing Our Country. 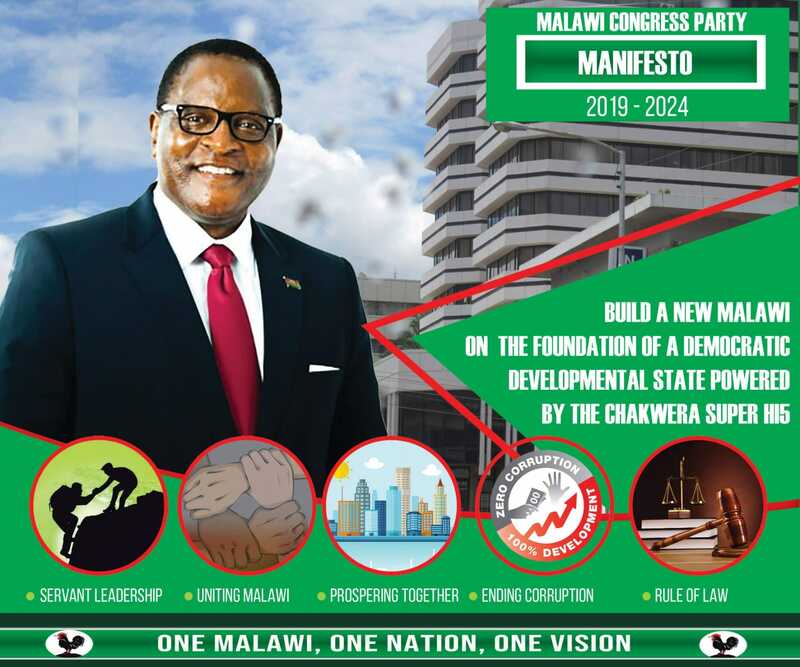 The opposition always greed always at longer heads accuses each administration and you dont give solution to Malawians but all you dream is presidency and can Malawi be developed this is our only Malawi lets love it and help our leaders with sober minds. Malawians needs development not politics. Ndale anachita Atcheya this time is for development sand Malawins dont need politics any more but action on the ground that changes our social lives.